You may not have heard – but popcorn is kind of a big deal. Not just because it’s delicious, but it’s recently been found to actually be good for you. Really. New studies suggest that a serving of popcorn contains more antioxidants than a day’s worth of fruits and vegetables. But that’s not to say that all popcorn is terrific for you; we’re talking plain popcorn here. A cup of plain pop only contains around 31 calories (compared to a cup of regular potato chips which holds around 139 calories…not exactly great). 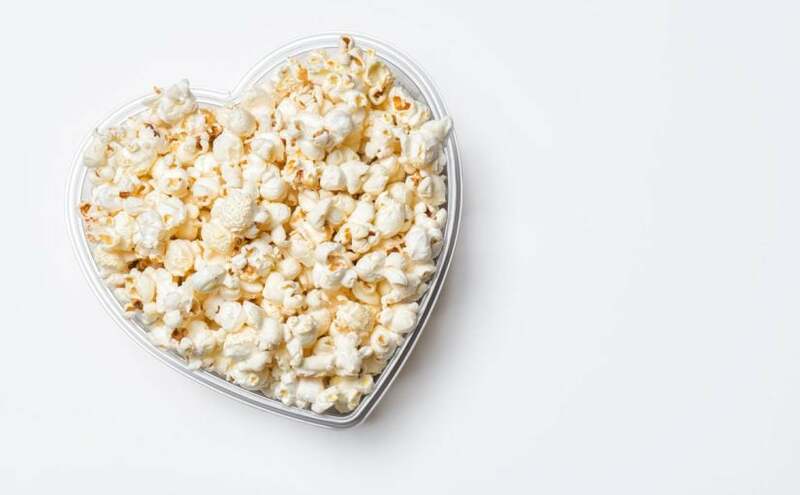 Popcorn also contains fiber and is the only snack that’s 100% whole grain. And whole grains are really good for you because they contain those antioxidants. In popcorn’s case, the antioxidants are found in the hull (the seedy part that gets stuck in your teeth) and are called polyphenols. Like all antioxidants, polyphenols help protect against cancers, heart diseases, and other illnesses that are caused by free radicals (cells that attack other healthy ones). Whole grains are also high in dietary fiber, rich in complex carbohydrates, and are low in fat, making popcorn a way better snack than anyone originally thought. And just because you’re not crazy about plain pop doesn’t mean you can’t enjoy its healthy benefits. Add on herbs like dill or curry, healthy oils such as olive or coconut, or sprinkle on some spices. You know what else is rich in antioxidants and is great on popcorn? Dark chocolate. Yep, dark chocolate contains flavonoids which are shown to reduce bad cholesterol levels, decrease blood pressure, and help protect the vascular system. So don’t think that popcorn can’t still taste delicious, just stay away from the large butter drenched bags at the movie theater. While no one’s suggesting that you adios your five-a-day, it is recommended that unhealthy snacks are replaced with those that provide more benefits than impediments. Popcorn’s been enjoyed for thousands of years, dating back to 3600 BCE. It’s natural, fun to eat, and thankfully, healthy.